From October next year, all autorickshaws on Indian roads will have more safety features. There will be doors or passenger retention compartments to prevent anyone falling from the moving vehicle, mandatory use of seatbelt for drivers and dimensions of passenger and driver’s seats will be specified. According to officials, two-point retractable seat belt will be made mandatory for drivers. It will be similar to the ones used in flights. 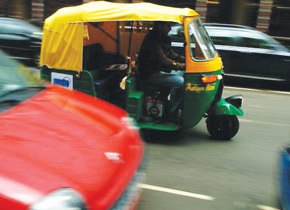 New auto-rickshaws will have more leg space for passengers so that they can sit comfortably and the specifications for headlamps have been modified to get higher output. There will be two headlights instead of the present practice of one.